Winners have been announced at SunnyD Awards! The winners for Round Thirty-Two of the Sunnydale Memorial Fanfiction Awards have been announced. You can check them out at here. Voting is now open for Round 32 of the Sunnydale Memorial Fanfiction Awards! Go read all of the fabulous stories nominated, then vote for the best. And encourage all your friends to do so too. I am excited to announce that Round 32 is now open for Nominations! The winners for Round Thirty-One of the Sunnydale Memorial Fanfiction Awards have been announced. Voting is open at the SunnyD Awards! Voting is now open for Round 31 of the Sunnydale Memorial Fanfiction Awards! The winners for the 2015 Willowy Goodness Awards have been posted. You can view the winners list here. I am excited to announce that Round 31 is now open for Nominations! Voting is open at the Willowy Goodness Awards! Voting is now open at the Willowy Goodness Awards. You have until March 31, 2015 to read all of the nominated stories and get your votes in. Since I'm already late posting voting for the Willowy Goodness Awards, I'm going to extend nominations for one more week in the hopes of fleshing out a some of categories. So look over your favorite Willow stories written in 2014 and go nominate them. Happy New Year, and we are open! 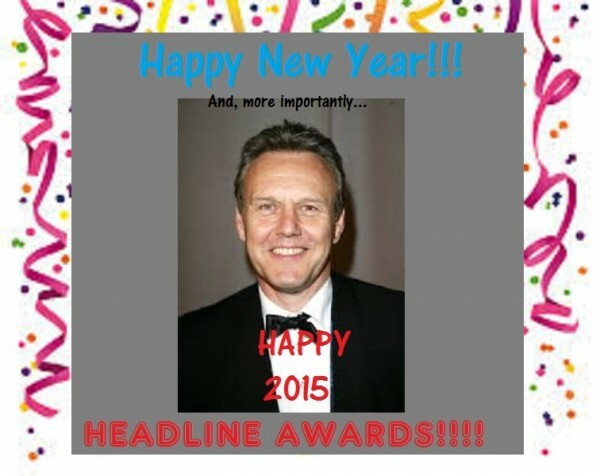 Welcome to the first annual Headline Awards, fan awards for all things Anthony Head! If Tony played a character on stage, radio, big screen, or small screen, any fan work based on him is eligible! Please look at our Rules and Categories. We can't wait to see what you share with us! Nominations end Jan. 20th.